Outdoor protection is necessary for vehicles and other outdoor equipment, but most people do not have enough room in their garage to protect everything. This outdoor canopy shelter from Shelter Logic provides about 1500 aditional square feet of protective covering. 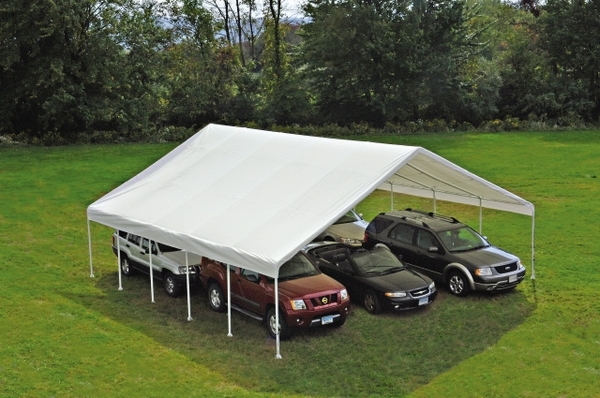 The 30 foot by 50 foot design is large enough for several cars, and the high quality cover is sturdy enough to keep rain, wind, snow, and sunlight from damaging your belongings. The sturdy construction has foot plates and anchors to keep it sturdy on windy days, and the instructions are easy to follow with a step by step guide.